Feb 2016 - Membership Available! A limited number of places are now available to new members. 1st April - The Season Begins! The trout season begins - Spring has finally arrived! Soon be Summer and the hatch will be on! 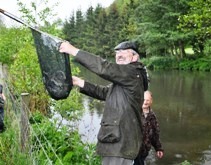 Ashbourne Fly Fishing Club was formed in the 1920s with the aim of providing first class fishing in the idyllic surroundings our area has to offer. From these beginnings the club has progressed year on year and we now enjoy a number of different waters including the River Henmore, the Bentley Brook and access to three local lakes. Fishing is the most popular pastime in the United Kingdom. 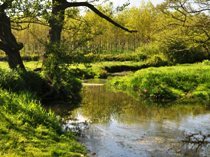 Our aim is to promote and protect the pursuit of angling while highlighting the environmental concerns affecting our sport. Angling is part of our Nation's history and culture and therefore an important part of Ashbourne Fly Fishing Club's mission is to continue to promote a pastime that brings pleasure to many and is also an important source of revenue and job creation in the U.K.